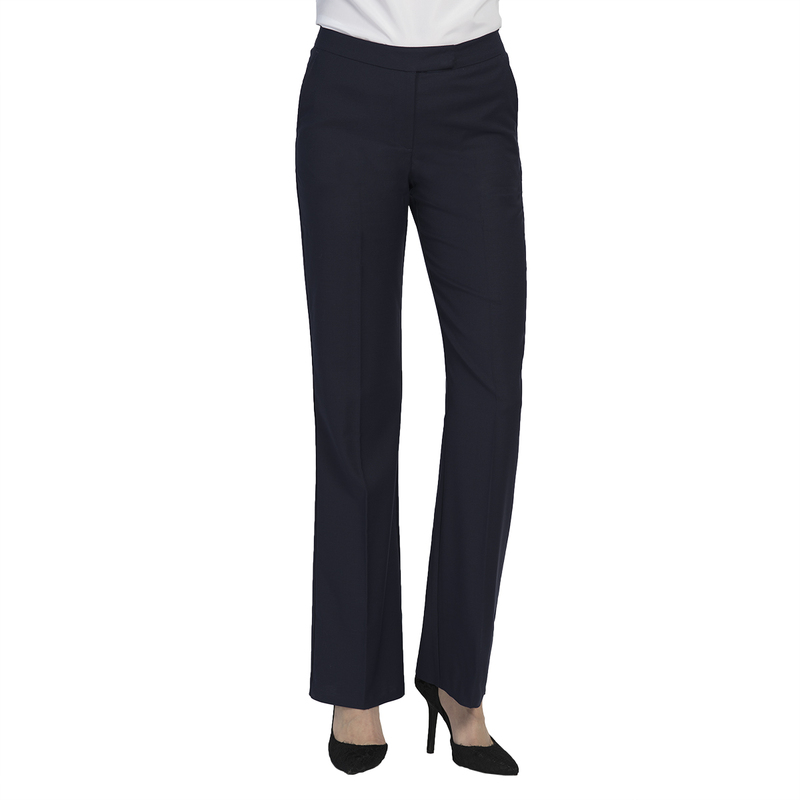 Our Women’s Optiweave Polywool Stretch Pants are made from our new fabric a stretch blend of 63% polyester, 35% wool gabardine, 2% Lycra™ with a unique cross-weave surface texture. The Optiweave Collection is perfect for upscale uniform programs in classic black, charcoal and navy. 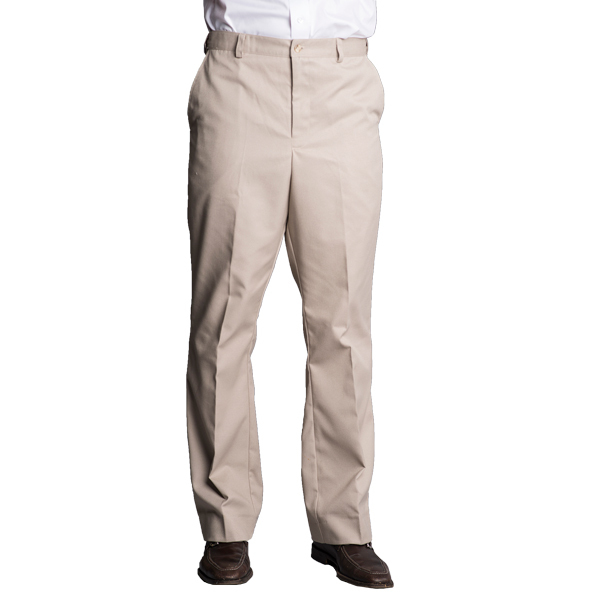 Women’s Pant style 4403 features a flat panel front, a tailored waistband with a hook and eye closure and an extension tab, two quarter side pockets. Delivered unhemmed to 34″. See more of the Optiweave Polywool Stretch Collection here.